Looking for tips to grow your startup? Try live-tweeting at your next event. Follow these tips from Draper University's marketing team. I have always been a risk-taker and a confident individual. I always took the road less traveled in my personal and professional journey. But, I never considered myself as a person who could do anything without any fear or self-doubt until the Draper University experience happened to me. This story is the compilation of the realizations of my powers and unleashing of the Superhero within me. In almost all the competitions, my team came last or got special mention points. In the societal norms, I should be sad, disheartened or give up in such situations. We often just quote “ Failures as stepping stone for success” in theory. But, at Draper University I learned to celebrate failures, improvise and move on. I always considered myself as a physically weak person. Even though I am normally a “Say yes!” person, I couldn’t break the block of wood with my bare hand in first attempt. It took me five attempts to break that wood. That “proving myself wrong” feeling after breaking was amazing. I learned the power of your mind can get anything done from you. In our day-to-day life as we grow up, we stop feeling excited about the new activities or challenges. I became one in someway. Draper University’s experience taught me that no matter how much you have grown up, keep the excitement alive in you. We live in a technology-led world and we become so used to such a life. We forget to pay attention to things around us. We are able to fly today because some entrepreneur built the aeroplane, we are able to talk to our loved ones on the go because some entrepreneur created the mobile phone…what if these people would have just moved ahead without paying attention. I learned to observe things around me after surviving at Survival Week at Draper University. It’s often said that you become the average of the five people you spend the most time with. Your network shapes you. Alone you can only grow to a certain level. I can never forget the feeling of being nervous for the “Pitch Day” and my 68 friends cheering up for me. That feeling instills your belief in yourself and the work you are headed to do. The very first day Tim told us to be comfortable with being uncomfortable. We all have probably heard this quote “Life begins at the end of your comfort zone”, but liitle we practice. During the entire program, we were uncomfortable — not knowing what’s coming next and doing activities which you never even dreamt of. Many times we don’t try something new or don’t do something because we are afraid of unknown or known factors. I swam for the first time, faced the mighty waves of Pacific ocean for the first time, making the first ever confident presentation…many more firsts. Conquering your fears is most powerful feeling which takes your confidence to whole new level. Fun is the most important element of success which most of us forget. When working hard towards your goal people often believe that there is no scope of fun. That’s wrong. The true entrepreneurial journey must have lots of Fun. It keeps the creative juices flowing in your brain. …Apart from above, there were other learning aspects too during the program. But above all, its the realization of the Superhero within me. You will get to know about my heroic skills as I go ahead in my journey. In 2013, women made up only quarter of the computing workforce, a rate that’s been decreasing since 1990. In the mid-1980s, 37% of computer science majors were women; in 2012, 18%. Women are vastly underrepresented in the tech sector and in all of Silicon Valley. But perhaps things are looking up! For the first time, more women than men enrolled in intro computer science at Berkeley. Last year, Google was offering free coding lessons to women and minority. And most significantly, there is a growing number of programs striving to teach women of all ages programming languages. Girls Who Code is a non profit organization that works to inspire, educate and equip girls with the computing skills to pursue 21st century opportunities. Their vision is to reach gender parity in computing fields. The team knows it is paramount to ensure the economic prosperity of women, families, and communities across the globe, and to equip citizens with the 21st century tools for innovation and social change. They believe that the more girls exposed to computer science at a young age will lead to more women working in the technology and engineering fields. To implement a hands on approach to learning, the Girls Who Code summer program sends the students to the campuses of tech companies such as Microsoft. ALUMNI ALERT: Michael Juliano of Think You redefines the way we customize and share contact information via mobiles phone and now the wrist. Think You, Inc., a company that streamlines how people share contact information and connect with one another, today announced the release of youPass for Android and Apple Watch. youPass for Apple Watch brings the convenience of linking with people and sharing contact information right to the user's wrist. The Android version works just as seamlessly as the iOS version, but has received significant updates to streamline the user experience. The app is easy to use, individuals simply scan a code on a mobile phone or Apple Watch to instantly link with people they meet. Users may also send a link to anyone with a mobile device—with or without the youPass app installed. The app can also send a personalized vCard with contact details that have been customized by the sender. said Tim Draper, founder of Draper Associates/DFJ/Draper University. youPass for iOS and Android also received significant updates to streamline the user experience. With youPass v2.4, the core functions (scan, share and connect) are brought to the forefront of the UI and are accessible via simple swipes. In addition, youPass v2.4 adds support for additional ways to connect including social networks, messenger and video communication platforms. These include Facebook, Twitter, LinkedIn, Instagram, Pinterest, Snapchat, Vine, Tumblr, YouTube, Skype, Kik, Google+, About.Me, Tsū, Ello, ooVoo, SoundCloud, Flickr and many more. For the original version, visit PRWeb. Learn more about Mike and his journey to Draper University. Draper University has partnered with Indiegogo Life to enable Draper University applicants to raise funds for their tuition. At our site, you can see campaigns from budding entrepreneurs who explain why they want to attend Draper University and what business they plan to launch. Through these campaigns, we’ve gained many interesting insights about raising money on Indiegogo and how to catalyze your community. Learn how to rally your network. Launch a fundraiser that will personally invest your network in your success and entrepreneurial pursuits. Picture Piotr Yordanov, a Fall 2013 Draper University Alumni. Aside from his charismatic video shoot, Piotr leveraged his skills as a software engineer and website designer to incentivize his network to donate to his campaign. By knowing your strengths and skillsets, you can determine what exactly you need from others to succeed. Donors were more likely to donate to Piotr’s campaign knowing they would receive a “free” one-hour tech consultation. Draper University founder & famous Venture Capitalist Tim Draper strongly recommends the ability to discuss your personal strengths and weaknesses. Are you good at writing? Spend extra time crafting your pitch text. Are you great at interacting with people? Be in charge of responding to comments. In the world of business and startups, it’s vital to own what you are great at, and create a diverse team that fills in the areas you could use some help to help your campaign stand out. Similar to when starting a business, determining who your contributors will be and where to find them is essential to meeting your goal. Are your donors your Facebook friends and family? LinkedIn connections & colleagues? Tech lovers in the Twitterverse? Once you’ve tested where the majority of your donors are, you can more efficiently use your time by putting forth effort in these specific areas. Make sure you know where the first 30% of your funds are coming from before launching your campaign. If you aren’t confident you can hit this within the first few days, adjust your goal accordingly. The more compelling your story and the more convincing your business idea, the more likely you are to reach your funding goal. Your audience needs to know why your school tuition will enable your business, and the message should be powerful and clear. Your donors will want to know that their money will empower you personally, but more importantly that you’ll make a big difference in the long run. Being transparent is crucial to the success of your fundraiser. A breakdown of exactly how the funds will be used can be helpful for instilling a sense of trust. Get a taste of raising capital. Crowdfunding tuition on Indiegogo Life can also be great experience for pitching your business to investors., except your contributors don’t expect anything but your happiness and success in return! 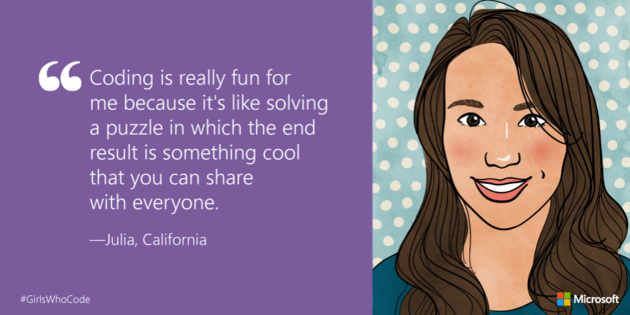 Upload a video, share your story, and let your personality shine. It should be obvious at this point that launching a strong crowdfunding campaign is very similar to launching a business and can be a strong proof point that demonstrates you have what it takes to be a successful entrepreneur. Indiegogo Life will provide you fantastic knowledge for developing a network and raising capital. It will push you to think through the finer details of your business plan and polish an idea that’s ready for market. If your campaign is successful, you will have sharpened your startup idea and established your goals before you even step through our doors. We encourage all future students to take advantage of this opportunity. With an effective crowdfunding campaign under your belt, you’ll hit the ground running when it comes time to pitch your ideas to private investors. Watch the video on how to raise funds for education at Draper University! Cory Johnson & Carol Massar speak with Venture Capitalist Tim Draper. Cory: Wait, before we bring Tim Draper in Carol, do you know where I was July 3rd in the afternoon? Tim Draper Does. Carol: Tim, do tell. Where was Cory Johnson on the afternoon of July 3rd? Cory: Yes, I was lecturing at Draper University. Tim: Oh of course you were— and you were awesome! They loved you. Cory: He was asleep at that time… it was really interesting, Tim! Thank you for the invitation to do that. Tell us about Draper University. Tim: It’s an amazing place. The biggest surprise is that it worked. I started the school 4 years ago to attract entrepreneurs from all over the world who wanted to learn how to really be an entrepreneur, or at least get that wherewithal to become. So we started this school, Draper University of Heroes, and it’s amazing the students its attracted. Cory, I bet you’ve never spoken in a class where they are so dynamic and so dedicated to learning. Cory: It was interesting, Tim. So I gave a modified version of a speech I’ve given at the Haas School of Business in Berkeley, and at the Knight School of Business at Stanford... both graduate classes. Both those were very different. But this was very different, too. These people were really engaged in wanting to be entrepreneurs. I talked a lot about accounting in this lecture which they weren’t especially interested in. They liked the tales of woe and intrigue. But these were people who were trying to take the discussion I had, and put it in their context of wanting to be startup entrepreneurs. Every single one of them. Tim: Yeah, and that’s the cut. It’s getting harder to get into Draper University but it is a school that has some of the most dynamic, driven, entrepreneurial-minded people in the world. It’s something we’ve trained our admissions office to look for. We’re getting better and better at it. It’s really exciting! We take about 70 students per quarter, so we’ve had about 400 students. They’ve started about 200 companies, come from over 40 countries. This most recent session is 70 students over 33 countries. The word has really gotten out. It’s a really exciting place to be. It’s only a 6-8 week program. If you’re a true entrepreneur, you don’t want to dedicate 4 years to become educated. You want to do it as quickly as possible and get out there and make your business happen. Carol: So Tim, this is your Innovate Your State Program at Draper, right? Tim: No, Innovate Your State is another program. Innovate Your State spun out of some things I saw. What it really is, is a crowd-sourced opportunity. This first one is for Californians to crowd-source and come up with new ideas they want placed on the ballot, or that they want me to fund, or me to donate to. We had 400 submissions, now we’re down to the Sweet 16. That group is really innovative. They’ve come up with some amazing ideas, some that are Venture Governance. I’ve funded two of them now. One was called “Open Gov”, which was all about transparency in government. Another is called PlaceVote, which allows a Congress Person to put the bills in front of them out to their constituents and have constituents vote on them. Long term, this could be a situation where the Congressmen gets his $175,000 a year, and his 5 Million Dollar slush fund, and his 50 staffers… but all he has to do is push the button that says which way his population voted on something. So it’s a really interesting and innovative idea. There are some of the 16 that are quite interesting. They are really targeting getting on the ballot in 2016 or 2018, and we are figuring out if we want to take one and put it on the ballot in California. Cory: And who is the “We”, Tim? Tim: I have a team that does this for me, it’s the same team that helped me with trying to get Six Californias on the ballot. Cory: Which is a whole other fascinating thing we can talk about another time. Your unconventional interest in politics is very interesting to me. I feel like this is the season when political candidates are running up and down Highway 280 asking every VC and CEO and anyone else with a thick wallet for money. Tim: I’m a believer that we really need strong structural change throughout the entire country, but specifically in California where we’ve gone from 1st to 47th in K-12 Education, and 1st to 50th as the least transparent State in the Union, and we’ve gone from 1st to 50th as the worst state to do business in. Our infrastructure spending has gone from 26% down to 3%. There are some real problems in California, and the costs are higher, and the value we’re getting as constituents is less. There’s a real need of something structural to change. There have been some great Goveners put in all the way through. Cory: Tim Draper of DFJ, Venture Capitalist and big thinker, thank you very much. Always a pleasure talking to you. Tune into Bloomberg Radio Shows by visiting here. A unique co-working space of the Draper Ecosystem. It’s a city with a vibrant culture, an eclectic community of bold people, perspectives, and possibilities. What habits and mindsets make you successful? "I regularly change my routine - join new groups, attend events I've never gone to before, grab lunch in new places - so that I increase the odds of meeting new people and discovering new companies and seeing things that I otherwise wouldn't know about. Brings a lot more serendipity into my work. I also try to remain optimistic and visualize outcomes that I want to achieve. That frequently leads me down new paths." Today Techstars announce the 2015 participants of Disney Accelerator, powered by Techstars. Draper University Spring 2015 Alumni Billy Shaw Susanto, Founder of Pundit, was selected and funded as 1 in 10 media tech startups in the world to the program. Pundit will participate in a three-month mentorship and investment program, which begins July 9 this year and concludes with a demo day on October 6. The ten companies in this year’s program represent a diverse cross-section of technologies, and we are inspired by their visions for the applicability of these technologies in the media space. Pundit & the 9 other startups will receive up to $120,000 in investment capital to develop their ideas, along with mentor support from top Disney executives, including Chairman and CEO Robert A. Iger, and leaders from Pixar, Marvel, Lucasfilm, ESPN and Walt Disney Imagineering, among others. Mentors will also include other entertainment industry leaders, venture capitalists and Techstars’ extensive network of entrepreneurs, investors and executives. Congratulations, Billy! We're proud of you! Tim Draper, Marc Benioff, and Mesh Ventures provide followup funding to help Loopd expand their team and scale out internationally. Following its initial seed round last Fall, Loopd has raised a total of $2.6 million from key East Coast, West Coast and international angel and seed fund investors. Leading the current round are Salesforce CEO and founder Marc Benioff; venture capitalist Tim Draper; and Taiwan-based Mesh Ventures. During the next year, the Loopd team plans to power 20 Fortune 2000 corporate conferences with its wearables-based connected hardware solution and 40 high-quality events with its app-based software solution. At events, corporate marketers can generate real-time physical (also known as "off-line") analytics from an active network of smart badges and apps. By employing its patent-pending bi-directional hardware and software solutions, Loopd enables attendees to exchange contact information on a face-to-face basis, collect marketing materials instantaneously, and check-in to speaker sessions passively. By tracking this information, corporate marketers can create actionable analytics to drive product development, partnerships, and customer acquisition strategies. In the future, Loopd's technology could become the leading "off-line" analytics provider beyond events in operationally oriented industries, including health, manufacturing, supply chain and retail. It also could play a central role in humanitarian relief operations in the developing world and in the deployment of military ground troops. "Loopd bridges the gap between physical and virtual connections, melting the distinctions between 'wearable technology', real-world connections and social networks," said Brian Friedman, CEO and co-founder. "The possible use cases for Loopd are boundless, from helping healthcare workers glean details about patients instantly, to facilitating military ground troop communication, to turning handshakes into information swaps." Loopd launched at the major interactive tradeshow South by Southwest 2015 by partnering with 13 exhibitors to power the official SXSW scavenger hunt. This demonstrated how to share content, and analyze Loopd's overall event value. More recently Loopd provided analytics, smart badges, and mobile event apps for BoxDev 2015, the annual developer conference for content collaboration, in San Francisco and for Xerocon 2015, a conference for leaders in cloud accounting, in Denver in June. During the past 12 months, Loopd has built the world's first analytics platform for the real world; complimentary iOS and Android apps; and a smart badge leveraging its proprietary bi-directional beacon protocols. At a series of global startup competitions, Loopd won the 2015 Wearable Tech Product of the Year (Wearable Tech World), was selected as a top 8 finalist for "smart data and enterprise" at SXSW Accelerator, and was selected as a top 4 finalist for "Internet of Things data analytics" at CeBit CODE_N awards. Founded at the Silcon Valley's entrepreneurship academy Draper University of Heroes in September 2013, Loopd Inc. provides physical intelligence to corporate events. We help corporate marketers learn how people interact with each other, with the company, and with the company's products. The Loopd relational analytics solution is the industry's only bi-directional solution that enables the exchange of content and contact information automatically. It also gathers rich analytics data so that marketers have a more sophisticated understanding of their most valuable business relationships. Loopd is headquartered in San Francisco. To learn more, visit www.loopd.com. To view the original version on PR Newswire, visit: Copyright (C) 2015 PR Newswire. All rights reserved. Step out of your comfort zone. Here, you’ll find self growth and discovery. You learn best when you’re stretched to the edge of your ability. It needs to be challenging and unfamiliar - that’s how your brain grows. 2. Get Up and Do It. The most efficient way for you to master something, is to actually get up and do it. Whether it is a language, habit or skill - reading about it or studying it is important - but people learn best by applying and utilizing their knowledge. Understand why you are investing your time and effort. Ask yourself, “Why am I learning this?”. People are more motivated and willing to commit when they have a clear end goal. Choose something that excites you and you are passionate about. 4. Set A Realistic Agenda. Define benchmarks and goals for your learning path. Be ambitious but also realistic! Challenge your abilities but also schedule in time for relaxation and absorption of the information - this is known as the “spacing effect”, and its known to improve long-term recall. 5. Track and Share Your Progress. Record your learning journey. Whether it’s on Evernote, a journal or even Twitter, tracking your progress allows for reflection and learning from your mistakes. Sharing the experience with others also welcomes feedback and holds you accountable for your goals. 7. Be Okay With Failing. When learning something new, you may fail once, or twice, or more - but that’s to be expected otherwise you’re not learning! Get comfortable with hearing the word “no” or feeling defeated. You learn best from your mistakes and failure brings growth and resilience. How does a VC pick out the best entrepreneurs to fund? There are three top indicators for a good founding team. When an investor meets with the founders of a startup, intelligence of the team is a given. But it's not enough. Having great enthusiasm for the problem you are solving allows you to sell yourself. An investor funds your idea based on the notion that you will do everything in your power to make it a reality. Oftentimes it's not the one you first envision, but the idea in the back of your mind that makes you successful. Never lose enthusiasm for your work. Steve Jobs was a stickler for details. From Jobs' point of view, every detail, no matter how small or seemingly insignificant, mattered. In a growing industry, this will set you apart from the rest. Put in the extra 15% that your competitor neglects by focusing your energy to work harder and smarter. Pay attention to detail while discovering features your customer will crave in a product. Then, lower the friction for your customer to get to your product. Make it easier, faster, cheaper, and better than your competitors'... and you’ll win! How your team gets along with each other and the respect you have for each other determines how an investor will perceive your team as a whole. As a general rule of thumb, find people who are smarter than you. Practice self-awareness by knowing not only what you are really good at, but also what you are bad at. Evaluate your personal character traits and skills, and seek team members with qualities that complement yours. For the full interview, check out the Funders and Founders interview here. Information shared by Anna Vital. What do you have without a happy customer? The key to success in business hinges on how clients and customers perceive you. That depends entirely on how well you serve them. Think of a happy customer as a brand ambassador who will go into the world and share the greatness of your product with their network. For free. Because you did your job. Make this a priority. Picking your cofounder is the biggest decision you'll make. Walk down the aisle with someone you can trust and someone you know will match you in terms of drive, stamina, and creativity. Inventory your strengths and weaknesses. Be honest with yourself. The last thing you should do is hire 5 clones. Plug those weaknesses, and find people smarter than you. Can you spot your mistakes? Every entrepreneur has made plenty of mistakes, you aren’t alone! The sign of a good entrepreneur is the ability to spot them, correct quickly, and not repeat them. Who is your target market and where are they located? Pick a persona for your ideal client and use this persona frequently when determining how and where to reach your customers. Give her a name, background story, and character traits. When you humanize your ideal customer, locating them in real life is less trying. You don't have to reinvent the wheel to create a profitable business. Are you cheaper, faster, or better? Be two of these things. The first two things Investor Tim Draper looks at: whether you’re in a billion-dollar market and if you can make big margins. If you're looking to grow your startup in the company of passionate leaders, Silicon Valley resources & world-class VC's, check this out. May 27, 2015 -- The Times of India featured a profile on Sahil Dewan this week, an entrepreneur who will join the Draper University Summer 2015 class. Sahil works in edu-tech. He co-founded FuturEd in 2012, a comprehensive service to establish alumni networks for Indian learning institutions. FuturEd offers training, consulting, and network management for schools where a strong alumni community is not yet in place. Sahil strives to fill a gap he identifies in the Indian education system, where many institutions struggle to sustain interaction with alumni once they've graduated. He sees untapped fundraising opportunities for these institutions, and hopes that by facilitating stronger alumni networks he can facilitate stronger schools overall. Already, FuturEd works with a number of institutions, including the University Institute of Engineering and Technology, Panjab University, and the Indian School of Business. Sahil seeks entrepreneurship know-how and potentially funding from his time at DU. He hopes to bring the spirit of Silicon Valley back to his home of Chandigarh, telling the Times, "If programs like Draper University can be conceptualized and launched in India, the startup ecosystem will start developing at the grassroots level and will not just be limited to the top startups working in the hot spaces in metro cities... We need experienced entrepreneurs and investors to bridge this climate for aspiring and young students, who are starting to get excited with the idea of entrepreneurship." We're happy to welcome Sahil to our intensive program. Without a doubt, he'll return to Chandigarh with the resources and the acumen to create long-term value in the education sector. Read the Times article on FuturEd here. May 26, 2015 -- Michael Lisovetsky, member of our 2014 summer class, was featured in Business Insider and ED News Daily this week for a startup idea that's set to rock the NYC housing market. Michael is co-founder of the app, HomeSwipe, dubbed "Tinder for apartment hunting." The app uses the swipe interface popularized by Tinder to connect house-hunters with realtors. Users can swipe through New York apartment listings based on their preferences and chat directly with realtors if they're interested in a property. Michael, 22, attended Draper University while studying business at NYU. At DU, Michael was introduced to a flurry of "Tinder for X" ideas, but he wasn't fully sold on the utility of the swipe platform. He asked friend-turned-business partner, Dean Soukeras, what the swipe model could facilitate besides dating. Soukeras, a seasoned NYC entrepreneur, promptly suggested "real-estate," and HomeSwipe was born. Michael and Soukeras sought a tech whiz to build the app and sent out a blast on Facebook. They struck gold with a response from Jason Marmon, a talented teen coder who would eventually drop out of high school to focus on HomeSwipe full time. Once the partnership was formed, they needed seed financing. Naturally, Michael reached out to Tim Draper, who was so impressed with the HomeSwipe prototype he agreed to invest. Tim urged Michael and his co-founders to raise their seed round to $500,000. They started strong, but plateaued at $400,000. The HomeSwipe team returned to Tim, who set them up with an introduction to Marc Benioff. This was the final push they needed. Benioff's interest was piqued, and he agreed to bump up their funding to the requisite amount. Soukeras worked with New York City realtors to build a customer base for the app. In effect, it will charge realtors a small transaction fee to chat with interested parties. The app will begin exclusively in New York, but the team has plans to expand to Chicago. With the apartment hunting process in Manhattan and the surrounding boroughs notoriously difficult, there is already a huge demand for the app. Since it's gone live, HomeSwipe represents 85% of available NYC real estate, boasts 47,000 downloads, and is supported by 2,200 real estate agents. Michael is a great example of a student who took full advantage of DU's resources to launch a meaningful venture. The HomeSwipe team will hit Sand Hill Road this week to secure more investors, and with all the app's promise, success seems inevitable. Read more on these accomplished young founders, and the full story of HomeSwipe's evolution at Business Insider. May 18, 2015 — Draper University was featured in Forbes to demonstrate the shift from an academic business education model towards an increasingly experiential one. Author Jason Ma cites a growing demand for practical education with real world application for entrepreneurs. He argues that today, success after college is actually determined by experiential factors (like internships) rather than rigorous coursework. Experiential learning programs offer networking and team building opportunities not incorporated into conventional schooling. Employers want to know that your knowledge can be readily applied to their company needs, and theoretical education won't always equip candidates with the requisite skill set. More and more, experiential learning programs like DU are attracting entrepreneurs who hope to simulate on-the-job experiences and develop a practical business acumen. Ma spoke with Tim Draper and DU alums to determine what makes DU a singular educational experience. Factors include the challenge to think big and work through failure, along with exposure to an array of business leaders in Silicon Valley. Ma writes, "I believe that innovative, experiential learning, both off-campus and on-campus, will increasingly make marks worldwide. Many employers are not looking for those who simply 'follow orders.' They need those who can think and act out of the box, those who bring a broad range of experiences and skills to the table... [U]nconventional avenues of know-how and alternative, hands-on paths to learning are adding value to higher education, especially in the field of entrepreneurship." Read the full profile on DU and nine other experiential learning programs at Forbes. May 11, 2015 — Draper University alum, Oliver Page, has created a unique ride-sharing service in Rome with mounting success. In a city where scooters are one of the most popular forms of transportation, Scooterino allows you to hop on the back of someone's scooter who is traveling in the same direction. Oliver's idea was to adapt American ride-sharing services (like Uber) to Italian culture. Romans rely heavily on Vespas to zip through the congested metropolis, and Scooterino allows users to locate travelers on a similar route and catch a ride for just a few Euros. The service is meant to be efficient and cost effective, and Oliver will eventually take a small cut from each transaction. So far, Oliver has about 2,000 users and $50,000 in seed capital. He will test the Roman market for viability, but the service has already sparked interest in other scooter-happy cities across Europe. Read FastCompany's profile on Scooterino here.